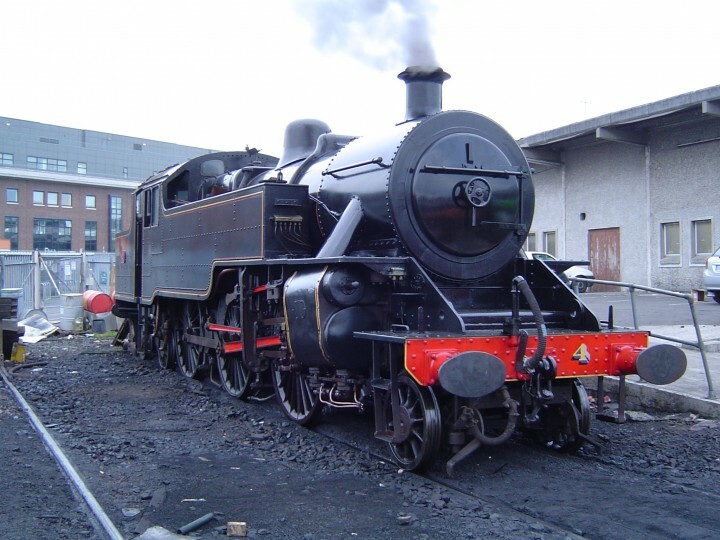 No.4 is a truly historic locomotive, the last steam locomotive to be used anywhere in Ireland outside of preservation. 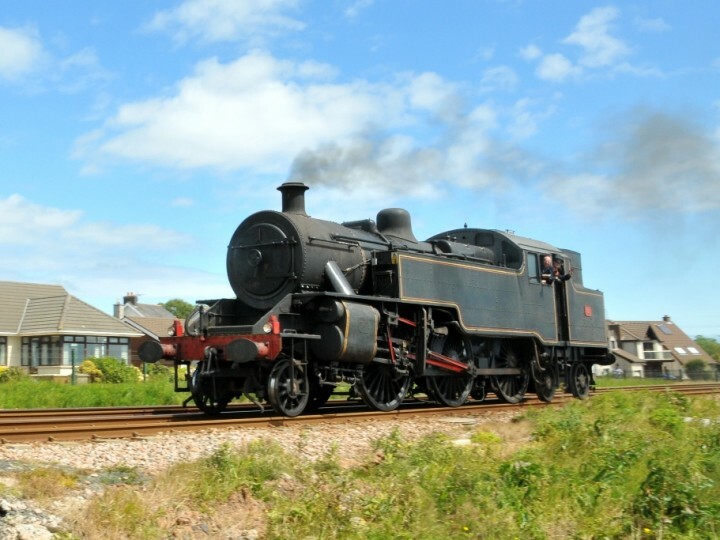 The most modern of Ireland's surviving steam engines, No.4 is also among the best travelled and best loved, after many years of service pulling Railway Preservation Society of Ireland's main line excursions. The real end of main line steam in the British Isles - on Northern Ireland Railways - went almost unnoticed by those outside the 'Emerald Isle'. That was in 1971. 11th August 1968 is a date burned in the memory of most enthusiasts, but far from being the end of UK steam, August 1968 marked only the retirement of BR's last tired survivors. 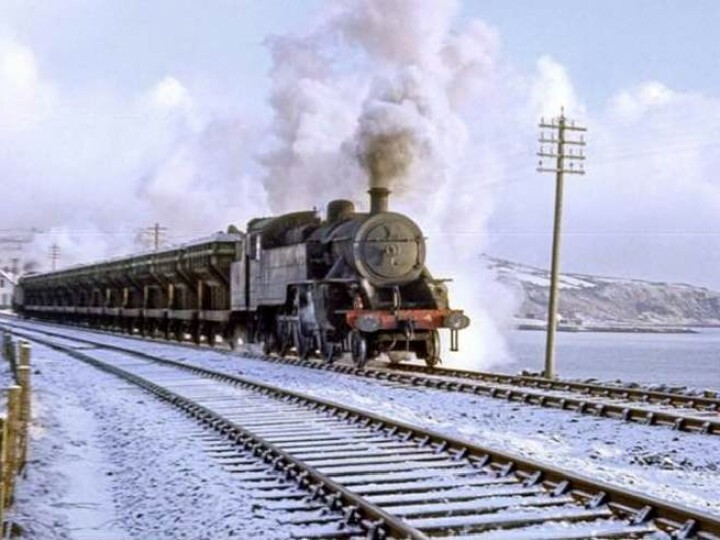 How many people after this last sad day knew that, within the British Isles, LMS 2-6-4Ts were still working hard for their living, and would do for another two years? We are not talking here of preservation, or some little know quarry siding. Neither is it pure fantasy. The locomotives in question, designed by Ivatt and constructed at Derby, were still employed by a nationalised, main line railway. That railway was Northern Ireland Railways, and the locomotives were the ex-LMS (Northern Counties Committee) 'WT' 2-6-4Ts. So when was the last day of steam. 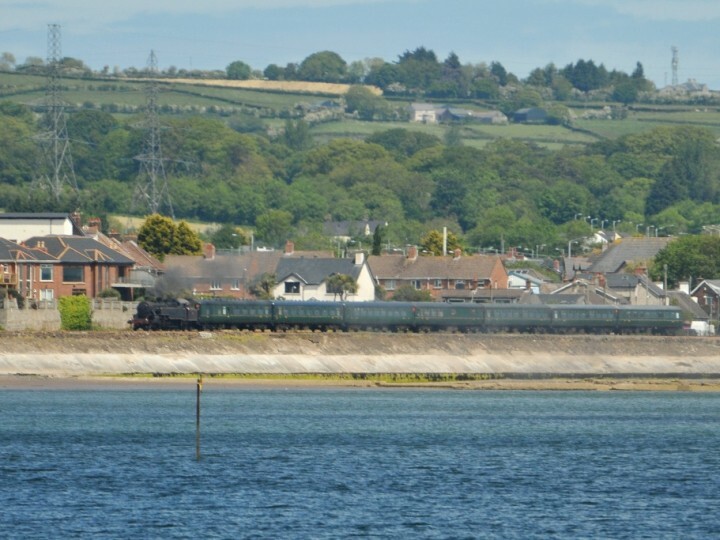 Was it 31st March 1970, when NIR 2-6-4T No.4 brought in the 5.25pm Whitehead-Carrickfergus local service, and thereby the last main line steam passenger train in the British Isles (tickets for which incidentally cost 3s 9d - considerably less than the '15 Guinea Special')? Or was it Northern Ireland's 'official' end of steam on 2nd May 1970, when No.4 and classmate No.53 worked the last spoil train from Magheramorne quarry to the motorway construction site at Belfast, or a week later when No.4 and No.51 ran to Ballyclare junction with a train of girders? Or even the withdrawal of No.4 in June 1971 after a period on pilot duties at York Road? Whatever the answer, one thing is sure: Ivatt 2-6-4T No.4 was in at the end, bringing the curtain down on a century-and-a-half of steam working. Now  the 'Jeep' is nearing the end of a major overhaul at the Railway Preservation Society of Ireland's Whitehead Workshops. When it returns it will be the first time No.4 has steamed for a decade and, provided all goes to plan, the 2-6-4T will be active in time for the 30th anniversary of its withdrawal. The Jeeps were the result of the LMS ownership (through the Northern Counties Committee) of railways in Northern Ireland from 1923 until the nationalised Ulster Transport Authority was formed in 1948. The 5ft 3in gauge NCC lines (there were also some of 3ft gauge) principally served Belfast, Larne, Ballymena, Coleraine, Portrush and Londonderry. One of the NCC's first priorities was to modernise the ageing locomotive fleet. In 1933 the 'W' class Moguls were introduced. 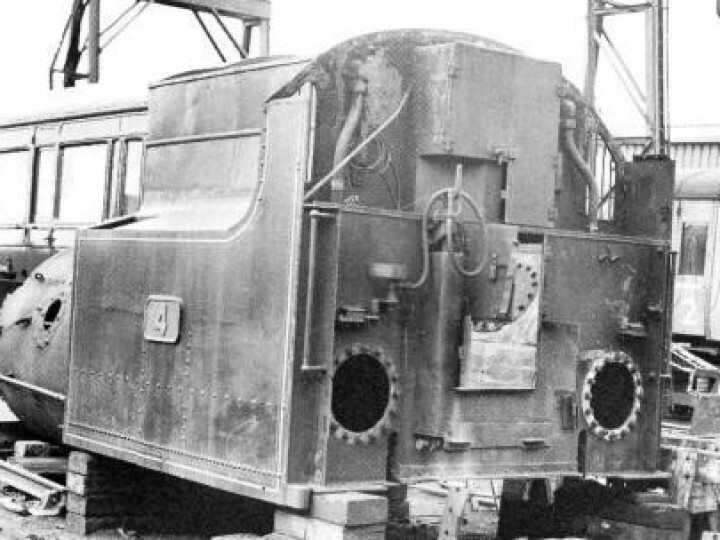 Designed by the NCC's CME, Stewart, the 2-6-0s incorporated standard LMS parts and visually were clearly part of the 'Midland' family - having much in common with a 'Crab'. 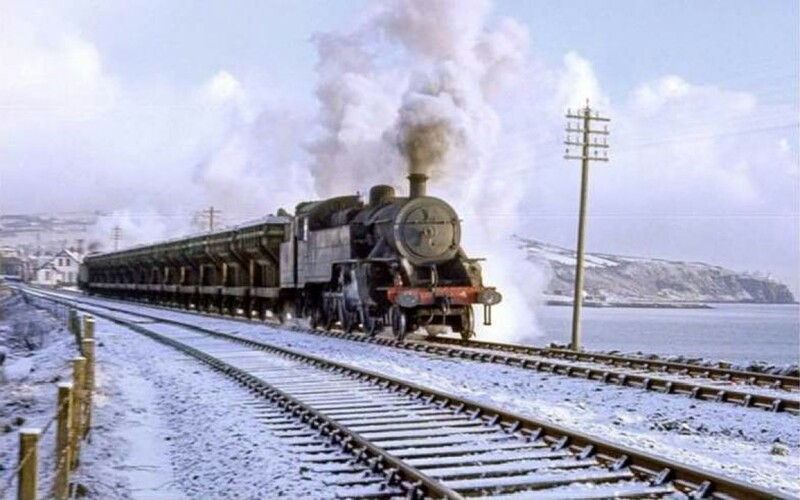 As successful as the 'W' class was, the NCC decided in 1944 that its trains in future would be operated by tank engines to remove the need to turn locomotives. 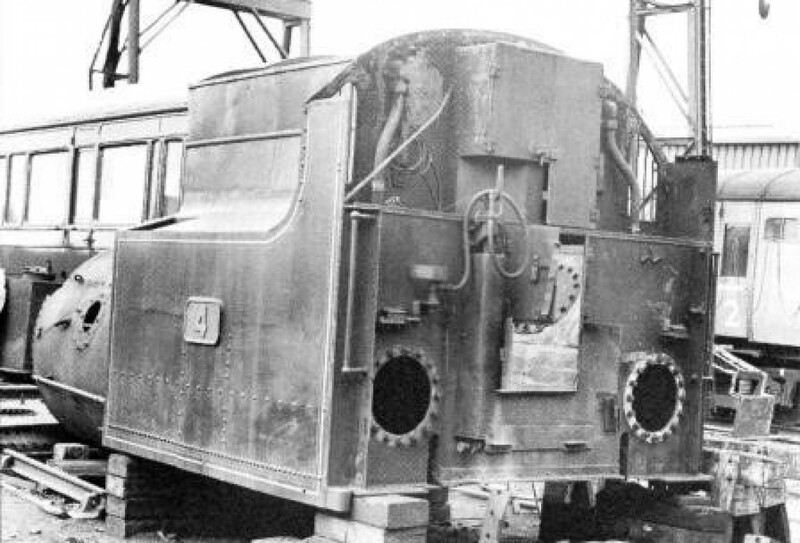 A 2-6-4T variant of the Moguls was duly designed, but pressure of work at Derby meant that the first, No.5, did not arrive in Northern Ireland until the summer of 1946. 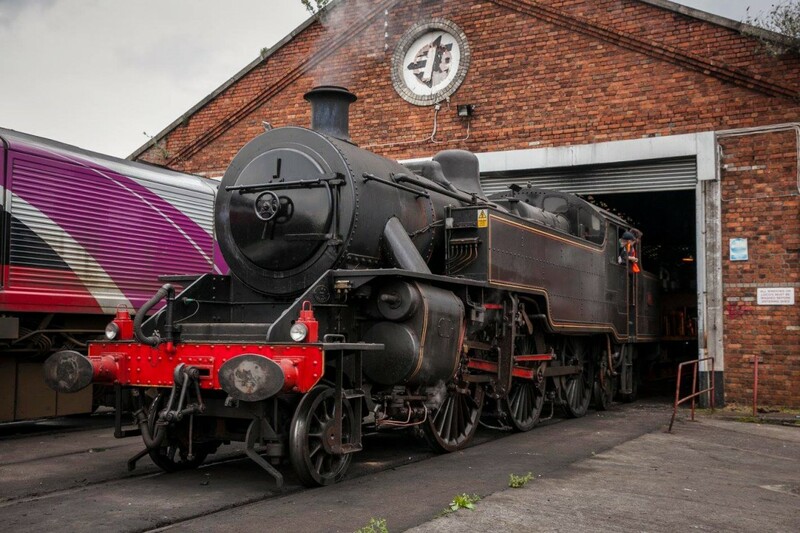 This, the most powerful tank engine yet seen in Ireland, entered service on 8th August. Between then and 1950 17 further 'WT' engines were built, including No.4, turned out in 1947. Closely related to the other LMS 2-6-4Ts, the Ivatt designed 'WT' engines nevertheless exhibited many differences. 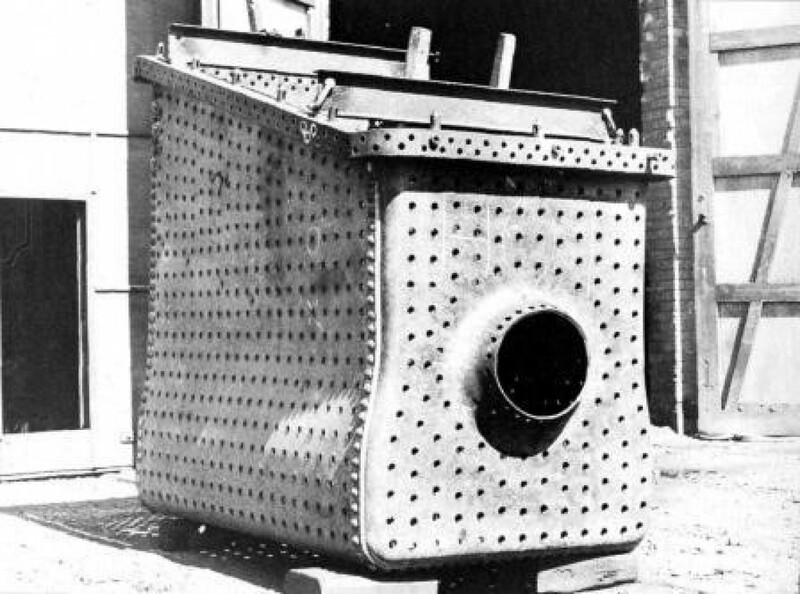 The parallel boilers were very 'Fowler-esque' although the cut-away framing had more in common with the later Fairburn '4MT' tanks. 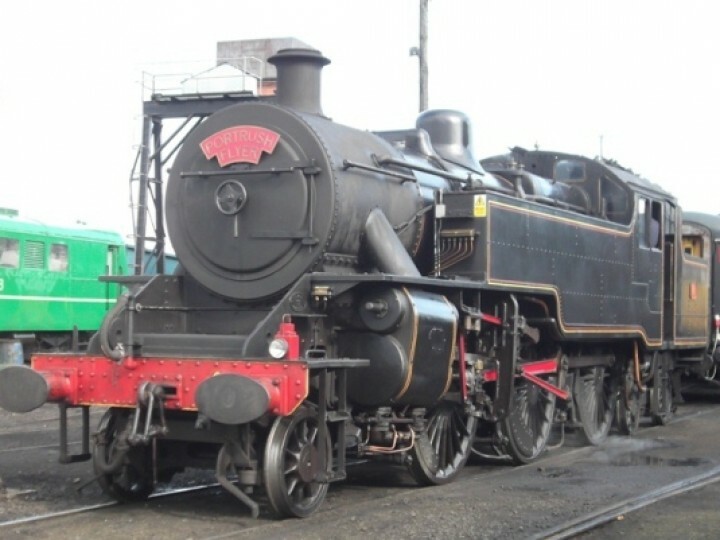 Originally painted in the standard postwar LMS black express passenger livery, after the formation of the UTA they appeared in black with red and straw lining - not dissimilar to BR lined black, but with cast red bunker numberplates and numbers carried on the bufferbeam instead of the smokebox. The 'WT' tanks proved a great success, capable of covering the 95 miles between Belfast and Londonderry without stopping for water, and being able to well exceed 80mph. Without the need to turn at the end of a run, they were able to run round and be ready to depart in under 10 minutes - in contrast to the Moguls. The 'Jeep' nickname is said to have been coined by William McCullough, Night Foreman at Belfast's York Road Works, who likened their 'go anywhere' ability to that of the Army Jeeps so common at the time. The success of the new locomotives, together with their 2-6-0 cousins, allowed many older NCC locomotives to be withdrawn. In the 1950s however, as elsewhere, the onset of dieselisation saw the retreat of newer as well as older designs. After a decline in Northern Ireland steam throughout the 1960s it fell to the Jeeps to end Irish steam, not with a bang but with a whimper, when No.4 and No.53 were withdrawn from their pilot duties at York Road. The RPSI had earmarked No.53 for preservation, but the discovery of wasted stay heads (patched up for its 2nd May 1970 spoil train finale) led to it being condemned. Attention turned to No.4 and the 2-6-4T was bought direct from NIR on 11th July 1971, a month after its withdrawal, for £1,275. Thus started a new era in which No.4 was to be a popular performer on the RPSI's main line specials, the first of which was from Whitehead to Belfast and back on 2nd November 1972. The Jeep's first period of main line running lasted until 1978, followed by general overhaul. On its reappearance in 1984, No.4 spent a week on NIR permanent way trains as part of its running in - an idea unthinkable on BR! Following its withdrawal for a second time on 3rd November 1991, the 2-6-4T lay out of use until 1992, when dismantling for overhaul started. It was only on the locomotive's dismantling that it was realised just what a big job this was going to be. 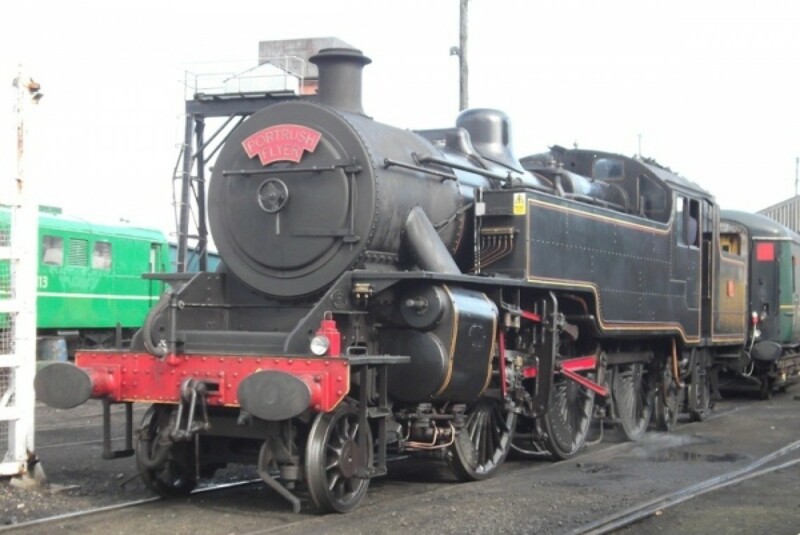 No.4 had been purchased by the RPSI in working order and although some heavy repairs such as wheel re-profiling had been undertaken in the meantime, the last major boiler work had been carried out at Swindon in 1963, when a new inner firebox was fitted. 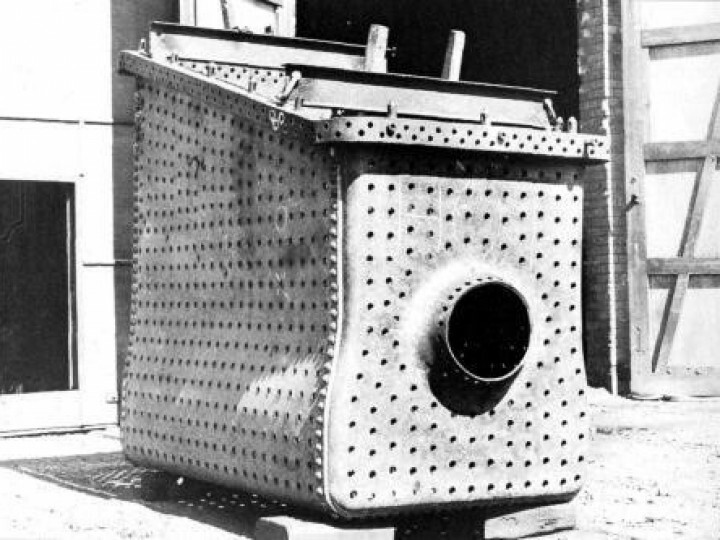 Investigation revealed serious wasting and cracking of boiler plates, the same with the firebox, and also corrosion of tanks, bunker and smokebox. 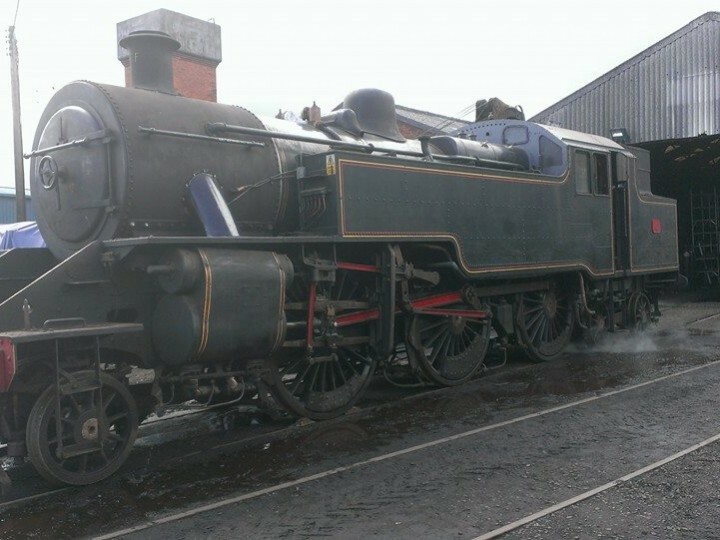 So began the most extensive refurbishment of a locomotive yet undertaken by the RPSI. The fact that locomotives are a kit of parts is amply demonstrated by No.4. 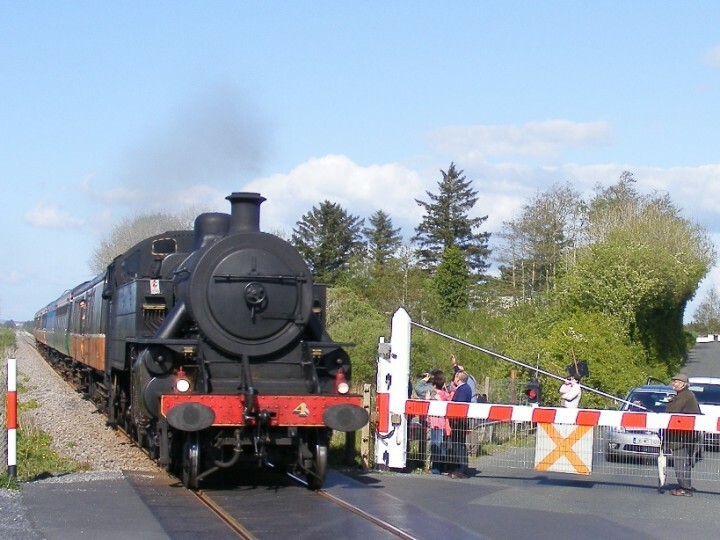 The 2-6-4T has carried the boiler formerly fitted to No.51 since 1963. With the withdrawal of No.54 at York Road in 1967 the opportunity was taken to swap the latter's good driving wheels for No.4's tired ones and also in 1967, the withdrawn No.9 donated its bogie to No.4. The dome cover came from No.53. Grit blasting of No.4's pony truck wheel set in the winter of 1998 revealed traces of green paint - the only Jeep to be painted green was No.5, which carried an experimental livery for a short time after nationalisation in 1948. Firebox repairs have included the complete renewal of the lower three-quarters of the outer firebox sides and doorplate, together with internal stiffening plates and longitudinal and transverse stays. By 1997 the firebox had been completely re-stayed. Welding work and repairs to plates were carried out on the boiler and a new front tubeplate fitted. The boiler has been completely re-tubed. The bunkers and the tanks were severely corroded and have largely been replaced. Likewise the frame stretchers under the footplating had deteriorated to such an extent that it had to be extensively replaced. Axleboxes have been remetalled, machined and refitted. The same is true of the bogie, which required considerable attention. The motion was dismantled and overhauled, including the re-metalling of all bushes. The cylinders were re-bored in late 1999, before the chassis was re-wheeled and motion re-hung. 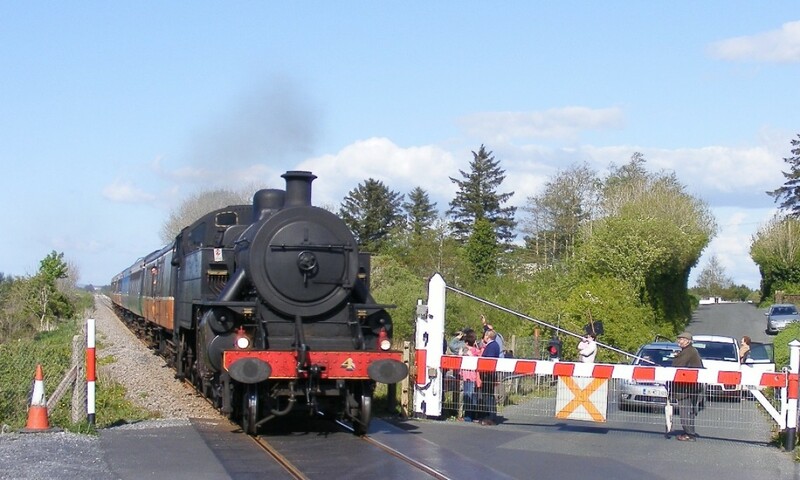 The return of No.4 to steam in 2001 - a player in the real end of main line steam in the British Isles - in the 30th anniversary of its demise is particularly appropriate. Beyond the significance of this date though, the chance of seeing the sole surviving 'WT' back on the main line where it belongs after a decade's absence is very welcome indeed. After much of the 1990s in the RPSI's Whitehead locomotive shed, undergoing a major overhaul, No. was officially relaunched and re-entered revenue earning service on the RPSI's Belfast and Northern Counties May Railtour in 2001. No.4 was in service for the next ten years. 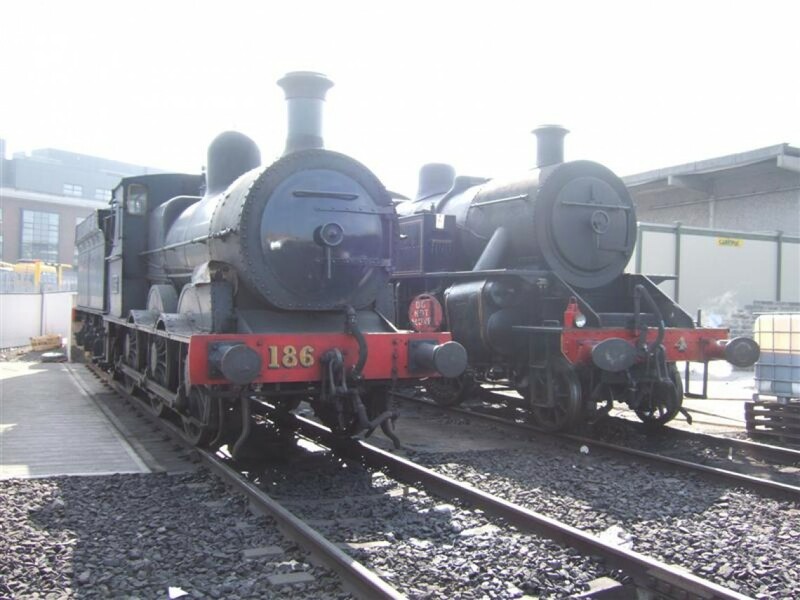 For most of that time the only other main line engine was No.186 - an interesting time to be an RPSI volunteer, for the two engines are like chalk and cheese. No.4 was designed some 68 years later than No.186 and even shows signs that the draughtsmen may have heard of a thing we now call 'ergonomics'! Over her last ten years in traffice, No.4 travelled over 31,000 miles in about 270 days. She appeared on television, in newspapers, and, inexplicably, the website of the Ulster Folk and Transport Museum! She has been so popular that many people have expressed regret that we could not have preserved more than one 'Jeep'. With hindsight, the £1,275 we paid for her seems incredibly cheap, but in fact it was very difficult to raise in the early 1970s and preserving a second WT was never really a possibility. So strong is this regret that some serious research has been done into building No.4 a sister. Whether such an ambitious and expensive project could ever go ahead is difficult to say - suffice to say it is not impossible. However, we can say with some certainty that we have not seen the last of No.4 on the main line. Her power and versatility will always be in demand as long as there is main line steam, and, not least to get our money's worth out of her expensive electronics, it is intended to have her back sooner rather than later. 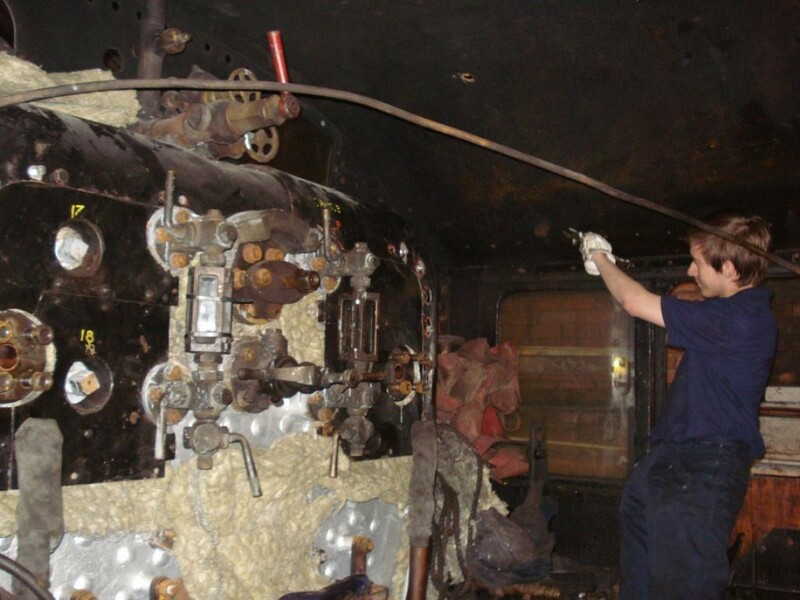 To that end, in 2014 No.4's boiler was returned to the frames and re-assembly quietly began, almost going unnoticed amid the publicity surrounding the overhaul work on the Society's GNR(I) locomotives No.131 and No.171. 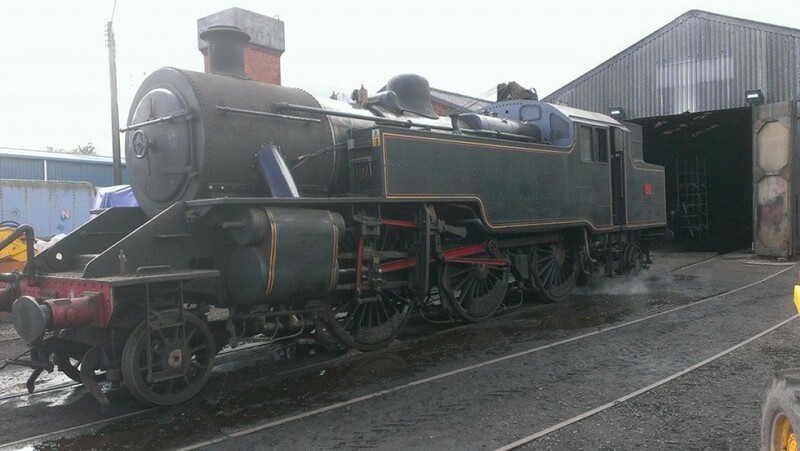 No.4 returned to the main line once more on Sunday 14th June 2015, with a visit to Carrickfergus on a light engine running-in test. 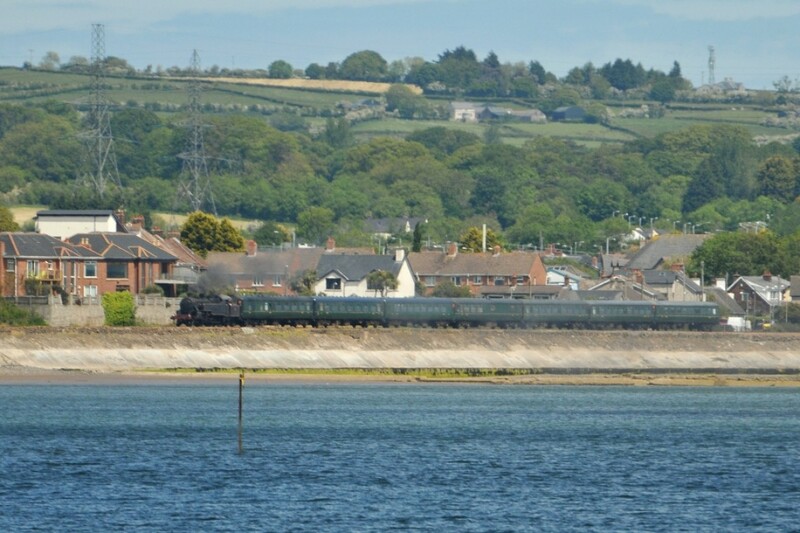 Later the same day the locomotive left Whitehead with 7 Mk2 coaches for a further trial to Belfast Central. 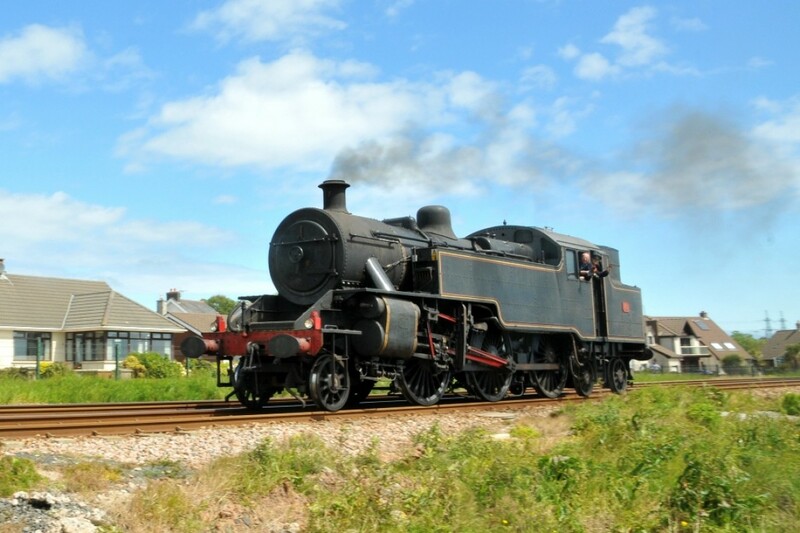 The locomotive returned to traffic on the Steam & Jazz train of Friday 26th June 2015. It has been allocated to operate Dublin trains for the time being.